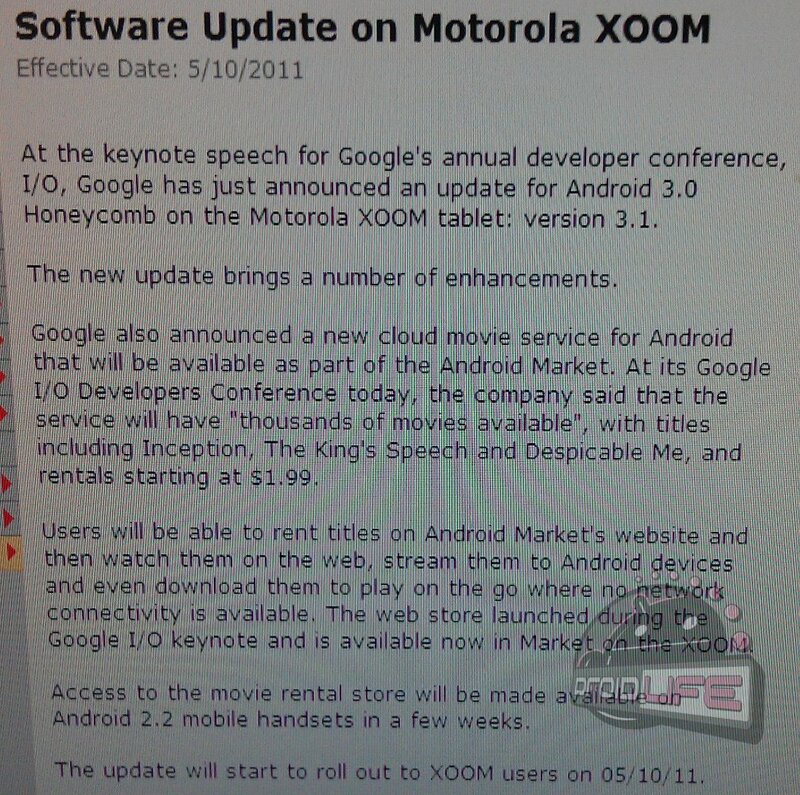 The next version of Honeycomb (Android 3.1) was announced at I/O and was supposed to start rolling out to Verizon Motorola XOOM devices immediately. We had yet to hear of anyone who had received the update and started to question whether or not today was actually the day. Well, our friends at Verizon just reached out to inform that today is indeed the day that XOOMs will start to see the update. As we see with all updates though, it’s likely that it will roll out to just a few thousand today and then hit th rest of the devices that are eligible over a week’s time. Oh, and let’s not forget that our developer friends will likely find the Google URL before long. Hang in there!